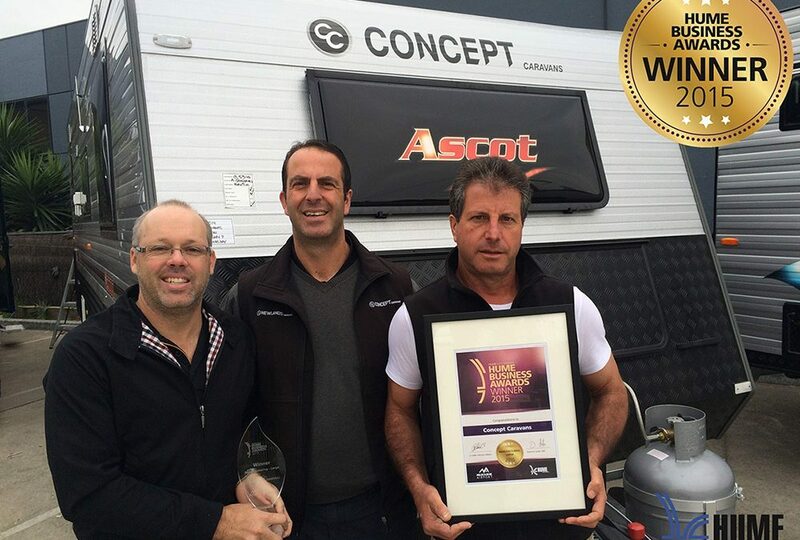 BEST LARGE MANUFACTURER OF THE YEAR - Concept Caravans | Innovative and stylish Australian made caravans. 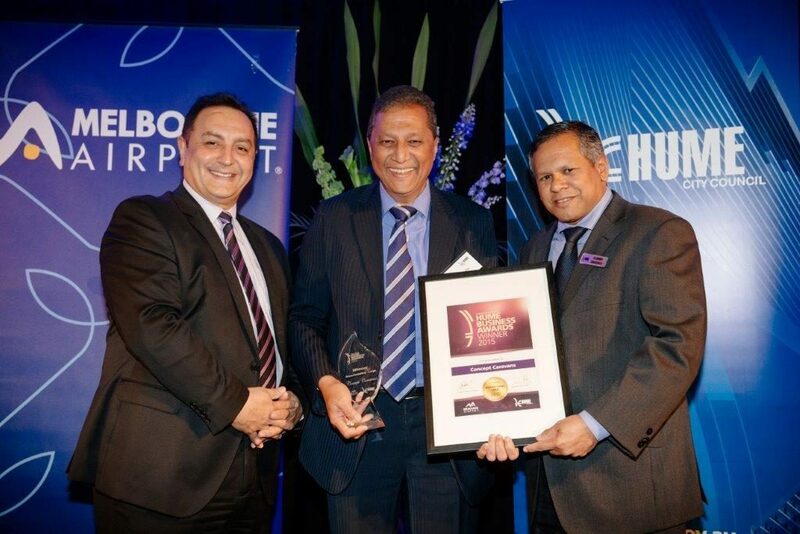 Each year the Hume City Council (HCC) awards manufacturers based in its municipality and recognises them for their prowess as a manufacturer and contributor to the local economy. At this year’s awards ceremony held in late October, Concept Caravans was nominated and won the “Large Manufacturer of the Year” award. This is a highly prized award and one that comes from a municipality that hosts over 1500 manufacturers (Victoria’s largest manufacturing base), some of them being, Ford, Visy, CSL, Vital, Preston Chassis, Johnson Matthey, etc. The group also includes Caravan manufacturers including a number who are leading brands. The directors of Concept Caravans, Keir Smith, Steve Caruso and Bruno Caruso are extremely delighted with this great honour and noted in particular the efforts of the entire team at Concept Caravans who take pride in the workplace and the products manufactured, which has resulted in this prestigious award. The award is seen as endorsement of the quality processes and systems implemented by the directors at Concept Caravans and adopted by all staff, in the manufacturing of high quality, state of the art caravans for the Australian market.